The Secondary Range offers vibrant soft seating options which provide comfort and support during study or recreational time, perfect for secondary, higher education environments and student accommodation. 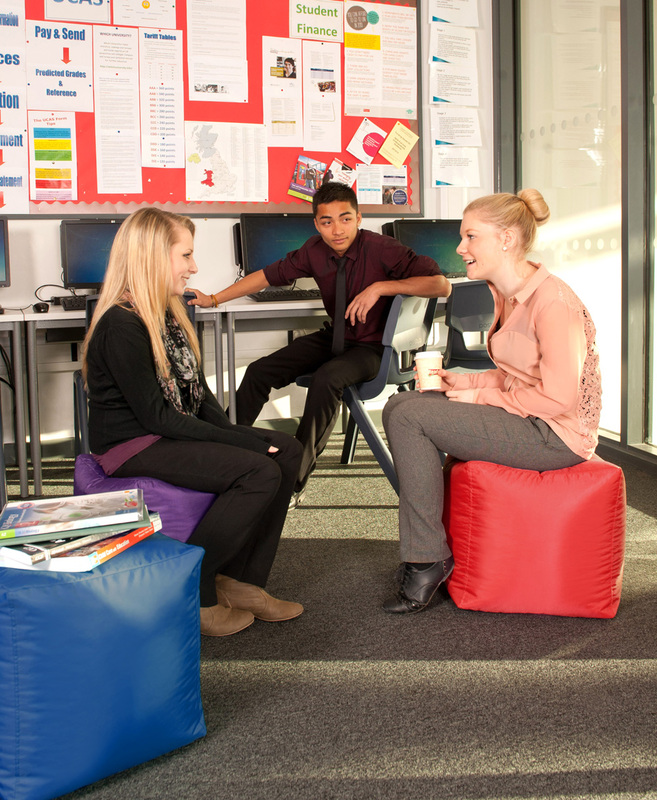 Our adult sized soft seating includes giant floor cushions for creative thinking sessions, supportive high-backed bean bag chairs for reading and studying, as well as cube bean bags for spontaneous breakout moments. Our bean bag chairs are also ideal for social areas, common rooms and students’ downtime in halls and student accommodation. Proven to aid concentration, motivation and well-being, this versatile seating is perfect for creating a modern and informal atmosphere for studying or simply relaxing with friends. Water resistant and durable our essentials range is ideal for Libraries, Schools and Universities. It has been developed to provide outstanding value for money as multifunctional seating that can be used both indoors and outdoors, in the living or study environment.